Bev over at My Reader's Block participated in this chain-meme which was started by Simon at Stuck in a Book. Bev shared Simon's description of the meme and I'll share that here too! I took at look at my Goodreads list of read books and looked at the 5 and 4 stared books that started with 'W' and there were a lot of good ones, but the one I chose for this meme was the one book that was different from all the others. 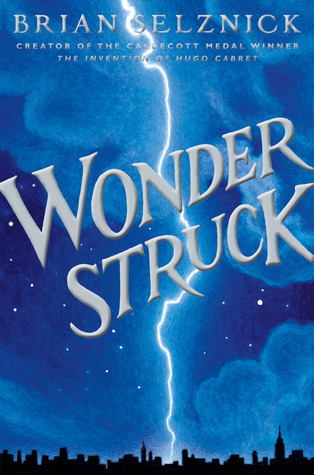 Brian Selznick combines two stories, one written out the other told only through pictures, to create a fantastic and engaging story. There are a number of author's I love that have their last names that start with 'W', I chose the author who had more books on my Goodread's list. 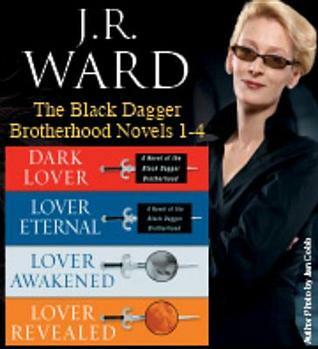 I just love her Black Dagger Brotherhood series, when a new book comes out I drop everything else to read it! There are so many good movies to pick from but when I saw this one on the list of movies that start with 'w' I just had to pick it, I pretty much will stop and watch it whenever I see it on TV. Does wine count as an object? Cause it was the first thing that popped into my head when I tried to think of something for this category. I like a lot of things that begin with 'w' but I really like wine. To play along you can comment here, over at My Reader's Block, or over at Stuck in a Book! Wonderstruck does look like an interesting way to tell a story. Thanks so much for joining in! It is a great style, he also wrote the Invention of Hugo Cabret which was written in a similar style.